Win a share of R3,500 in Sportmans Warehouse vouchers, R700 in KFC vouchers + official Proteas caps. Every round our Top 3 walk off with prizes. Enter now! 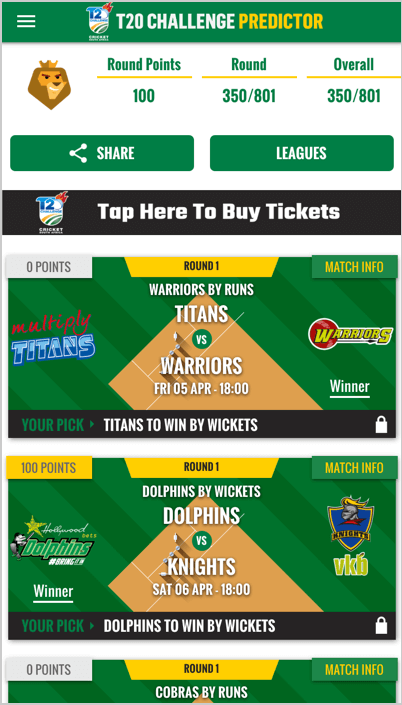 Play the 2019 CSA T20 Challenge score predictor game. Predict the winners of exciting T20 Challenge matchups. Score points & climb the Leaderboards for your chance to win prizes.